Looking to provide a unique, creative and fun gift idea and experience then purchase one of our Redoak Gift Vouchers delivered directly to your inbox. 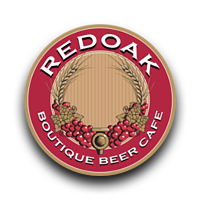 Ready to use immediately and for up to 12 months, your Gift Vouchers can be used to purchase beer, food or to book into any of Redoak's upcoming events. Share your love of Redoak with others, or why not treat yourself. Purchase now! If you're purchasing the voucher as a gift, please complete the details below with the name of the person to appear on the voucher. If purchasing for yourself you'll need to complete your details below too.